Your Prescription What are they for? What type of product? Still not Sure? Still not Sure? Before you begin shopping for eyewear, we really recommend entering your prescription online. This will make it easier to find products ideally suited to your prescription. A copy of your prescription should look something like one of the examples shown below. They all contain the same information, simply presented in different ways. 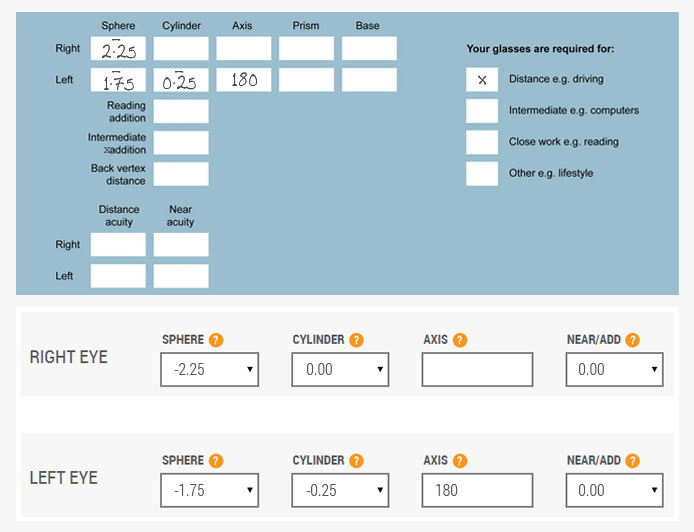 This is an example of a prescription from Specsavers opticians, below is how it would be entered into the prescription form on the RxSport website. For more information about each of the areas below please click the area you are interested in and more information will be displayed. SPHERE - Shows the strength of the lens – the degree of long or short-sightedness. Short-sightedness (myopia) is corrected by negative sphere values, long sightedness (hyperopia) by positive value. CYLINDER - Determines astigmatism in the eyes, i.e. the extent to which your eye is rugby ball shaped rather than football-shaped. Not everyone has astigmatism - if your prescription shows DS in this box, just leave this field blank. AXIS - The pro's choice. Provides contrast enhancement in overcast conditions, but enough protection from brightness to still be a good option for bright days. NEAR/ADD - The additional power on top of the distance figure needed for reading. 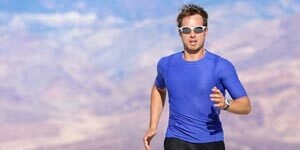 This is required in reading glasses and varifocals, but not usually required in sports eyewear which correct distance vision as a rule. This is an example of a prescription from Boots opticians, below is how it would be entered into the prescription form on the RxSport website. 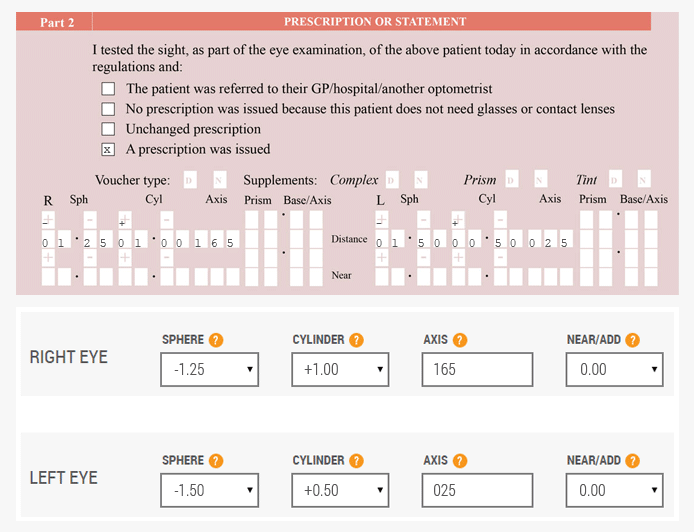 This is an example of a prescription from Tesco opticians, below is how it would be entered into the prescription form on the RxSport website. What will you use the sunglasses / glasses for? Find out about your options below. Helps you focus on objects far away. Helps you focus on objects up close. A gradual blend of distance, intermediate and near correction. 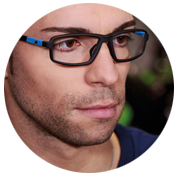 Non-prescription lenses for a cosmetic effect. Stuck on what kind of eyewear you want or need based on your demands? Let us break it down for you. Clutter-free and effective, this is the ultimate option for prescription sunglasses. The prescription is glazed onto the sunglass lenses, providing corrective vision without compromising on the overall look of the product. If you need versatility, go for a clip-on insert. A small frame fitted with your prescription lenses attaches to the inside of the sunglasses. Remove the insert whenever you like or swap sunglass lenses for a customised experience. 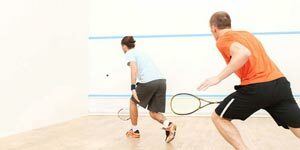 The shield has been a common sight on professional athletes for years, but it is one of the most tricky to turn into a prescription product. Quite simply, you need two lenses for corrected vision - one for each eye! To get to this point on a single shield lens, manufacturers have cut out two sections of a non-prescription shield. Prescription lenses are produced and implanted into these spaces. The end result is a fantastic performance product, but maybe not if you are out to impress! This classic look offers maximum protection, and is available in various shapes and sizes. Ideal for casual use and extreme activities alike. Very popular for numerous sports, as the open-frame design maximises field of view and minimises weight. 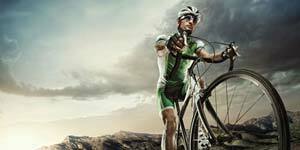 Ideal for sports like golf, running and cycling. Available with inserts or implants, the shield is the chosen shape for many elite athletes. The ultimate in protection from the elements, whilst minimising any frame intrusion. Not available as a traditional direct glaze. The lenses are fully enclosed around the edge by the frame. If you want a fashionable, expressive design or something to hide lens thickness, full-frame glasses are the way to go. 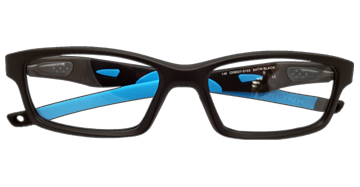 The frame forms a brow along the upper rim of the lenses. Half-rim lenses are a more minimal look than full frame options, but still give you a chance to express yourself with unique stylings. There isn't much to a pair of rimless glasses in terms of the frame, but they are the ultimate in minimal design. 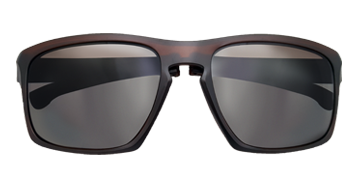 Tough lenses are mounted to the frame at the temples and nose bridge for a cutting-edge look. This is the choice for those who are in need of a pair of durable, lightweight and versatile glasses. Wire frames are tough but malleable, meaning you can make adjustments to the frame as and when you please for the perfect fit. You don't get the array of colour options you do with plastic frames, but the style of the wire frame comes in its sculpting and shape. Plastic frames are known for being available in virtually any colour or print you can imagine, making them perfect for those who are after a specific look to match their style. A great choice for those with higher prescriptions, full-rim plastic frames do an excellent job of hiding the thickness of lenses glazed with a higher prescription. 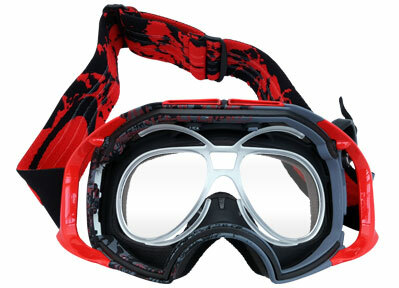 Goggles are unique eyewear products owing to the size and shape of the lens used. Because one large lens covers the entire field of vision, it isn't possible or practical to directly glaze a prescription onto it. The solution is for an insert to be glazed with the prescription, which is then seated within the goggle canopy. Every ski goggle we sell has been tested for its compatibility with a range of quality prescription inserts, meaning when you buy a set of prescription ski goggles from us, you can be confident in buying performance eyewear that will keep up with your action on the snow. 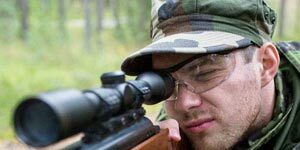 For the majority of eye protection needs, safety glasses are a practical choice. Both frames and lenses are tested to provide protection from impact by fast-moving objects. 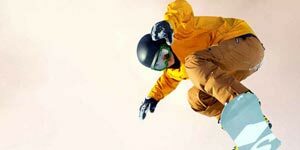 All protective glasses at RxSport meet the ASTM F803 standard for sports protective eyewear. While safety glasses are able to protect from high impact, they are less suitable for use where small particles can reach the eyes from behind the frame and compromise or damage eyesight. 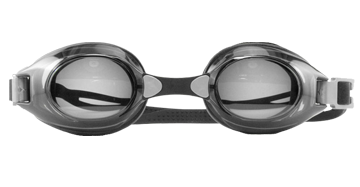 A pair of goggles form a secure seal around the ocular area to keep everything out. 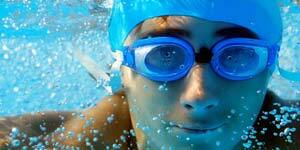 A pair of goggles for swimming are a much more safe and sensible option than contact lenses. If you want a general improvement in their poolside vision we offer off-the-shelf goggles. If you have strong astigmatism which demands precision-made corrective eyewear then we also offer custom made goggles which allow for a greater degree of customisation. If you're overwhelmed by choice when it comes to our prescription lens options then here's the essential knowledge. The science behind them is pretty complex, but in the simplest terms, polarised lenses block glare from reflected surfaces. Where other lenses will just dampen glare by darkening your vision, polarised lenses are able to filter it out, meaning clarity isn't diminished by an overly dark lens. 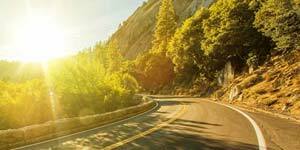 You'll notice a benefit from polarised lenses in any bright weather, but they really come into their own around water, on the road, and anywhere else where reflective surfaces are commonplace. Polarised lenses are considered an essential for water-bound sports like fishing and sailing! Mirrored lenses serve several purposes. The primary purposes are to dampen intense light and improve visual comfort in bright weather, the secondary purposes are to look cool! Mirrored lenses help to stop people from looking through the lens into your eyes, meaning you can wear the ultimate poker face. Mirror finishes are available in a near-limitless array of colours and effects. Some mirrors are single-layer, meaning they consist of only a single coloured treatment. Others a multi-layer, producing an eyecatching, chromatic effect. 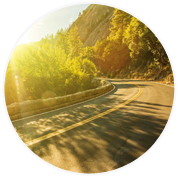 Also known by trade names including Transitions and Reactolite, photochromic lenses are able to darken or lighten their tint in response to the amount of natural light present. These tint is at its darkest in bright weather and at its lightest in dark weather. lenses are available in several different coloured lens tints, and can also come with additional treatments such as a mirror finish or even polarisation for an extremely versatile lens suitable for a wide range of applications. There are near-endless options and comnbinations when it comes to your lens material and its finishes. On RxSport you'll find four lens packages for our opthalmics products which are fine-tuned to meet specific demands. Here's a run-down of your options. Made from CR39 plastic, the Value package represents excellent value for money. These are lenses you can expect to be offered by most high street opticians. Made with tough polycarbonate, these lenses are 20% thinner and lighter than standard plastic. An anti-reflection coating reduces unwanted reflections, improves clarity and enhances the cosmetic look of your lenses. Ideal for higher prescriptions, our Super Thin lenses are made from 1.67 high index plastic which is 30% thinner and lighter than standard plastic. An enhanced anti-reflective finish is applied which also has anti-scratch, anti-smudge, dust-repellant, water-repellant and UV protective properties. If you're looking to use your glasses in an sporty environment, the Sporty Anti-Fog package is designed to meet your demands. Made with impact-resistant and lightweight polycarbonate, these lenses are come equipped with a combined anti-fog and anti-reflection treatment which helps keep lens clarity as high as possible, even during periods of exertion. Much like our ophthalmics range, we've put together a set of lens packages for goggles which are made to satisfy snowsports enthusiasts. As offered by most high street opticians, our Basic package uses CR39 plastic plastic to produce corrective vision representing excellent value for money. If excess weight and wearing comfort is a concern, go for the Tough package, which uses polycarbonate lens material to provide unbeatable impact protection at 20% the thickness and weight of standard plastic lenses. A hard coating helps to reduce the risk of scratching. If you have a higher prescription and want to shed some of that excess lens thickness, go for the Thin package. 1.67 high index plastic lenses are 30% thinner and lighter than standard plastic. For those who are prone to fogging up in the cold, this package uses an Optifog UV anti-fog/anti-reflection treatment which keeps clarity high even in adverse conditions. Set up for skiing, these lenses feature a large distance area with a small reading segment for piste maps at the bottom. These lenses use the same materials and treatments are our Tough package. Below you will find the most common questions we're asked about prescription eyewear. 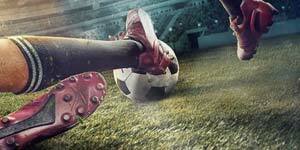 You will need to register/login to the website first. 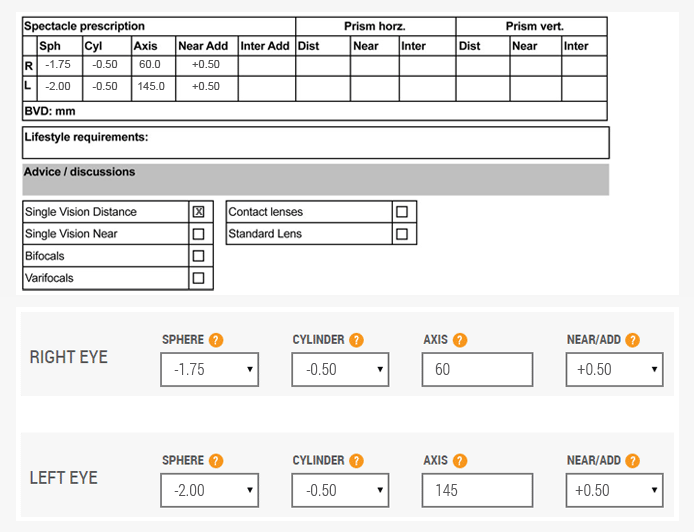 You can then enter your details onto the form provided, which has been designed to match the layout of most prescriptions you get from your regular optician. For further assistance, please check out our prescription guide, and failing that please contact us. I would like to order two products using two different prescriptions. How can I do this? At present, you can only save one prescription per account. You can either set up a new account, and place two separate orders, or give us a call and we will be able to sort it by telephone. I don't have a PD (pupil distance) reading on my prescription. How can I get this? You can contact your optician directly. If they have supplied you with prescription glasses before, they will hold this detail on file. As such, they are legally obliged to provide the measurement. Alternatively, you can use our pupil distance guide to obtain the measurement. I have entered my prescription online, but I appear to be out of range for most or all products. What should I do? Please contact us, as we can discuss your requirements and the available options. We can extend the range for many of the products that we offer, although there can be surcharges for this. 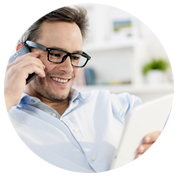 Yes, we offer varifocals as an option on all of our everyday glasses and prescription sunglasses. We do not offer any of our goggles with varifocals. Read more about varifocals here. 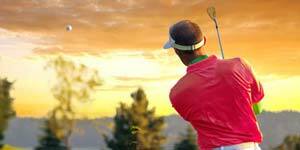 What is the difference between genuine Oakley and everyday lenses on your Oakley ophthalmics range? The genuine Oakley lenses are produced by Oakley, and your glasses will be glazed in their own lab in California. 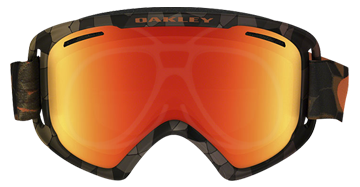 They are made of Oakley's Plutonite material for incredible impact protection and digitally surfaced high definition optics. They also feature the Oakley Stealth coating, which is an anti-reflection coating with added hydrophobic, oleophobic, anti-static and anti-scratch properties. The everyday lenses we offer are supplied by Essilor, so the same as you would get from a premium optician on the high street. They combine quality and value, with an option for everyone. Our range of lens packages starts with a basic CR39 lens, and goes up to a super thin 1.67 lens with premium Crizal Forte coating. Why can't you sell prescription eyewear to those aged 16 or under? The General Optical Council insist that prescription glasses are best supplied face-to-face from a registered optician. 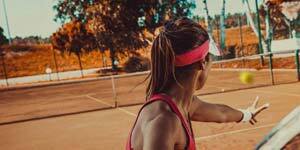 Whilst we appreciate this can be frustrating for specialist sports eyewear, which are often hard to track down on the high street, our hands are tied unfortunately. That being said, we are always happy to provide advice to parents about the best options for their kids. We can also supply the frames, and you can then take these to a reputable local optician to have the lenses produced.